When will they ever learn? Here goes another boatload of money on research for something they should already know helps veterans with PTSD. What is even worse is, they should know that anything that helps calm down their bodies helps. That's right, anything! Their suffering bodies are also part of what PTSD hits and they have to teach their bodies how to relax again. For some, it is music, art, meditation, martial arts, or even something as simple as taking a walk. In this story, it is getting on a surfboard. Why is it that the military is so far behind on figuring all this out? After all, it is because of veterans coming home from war the results of traumatic events are understood. Those veterans came home over 40 years ago from Vietnam and they pushed for all the research done. If any of these people in charge actually bothered to do some research on what has already been understood, we would have saved a lot more lives and a lot more money! McCrossin said he struggled with survivor's guilt and he's still coping with his PTSD every day. Over time he found some relief in music and three years ago, he started surfing. JACKSONVILLE, Fla. -- The U.S. Navy is spending $1 million on a three-year study that's aimed to find out whether or not surfing can counteract with Post Traumatic Stress Disorder, or PTSD. Disabled Navy vet and avid surfer, Bill McCrossin, told First Coast News he is excited about the study. "I love waking up before the sun and loading up the car trying to throw this 9-foot board into the car and then going to the beach," McCrossin said. "I started finding that therapeutic." McCrossin said he has PTSD from his four years in the Navy. He joined 2001 right out of high school. 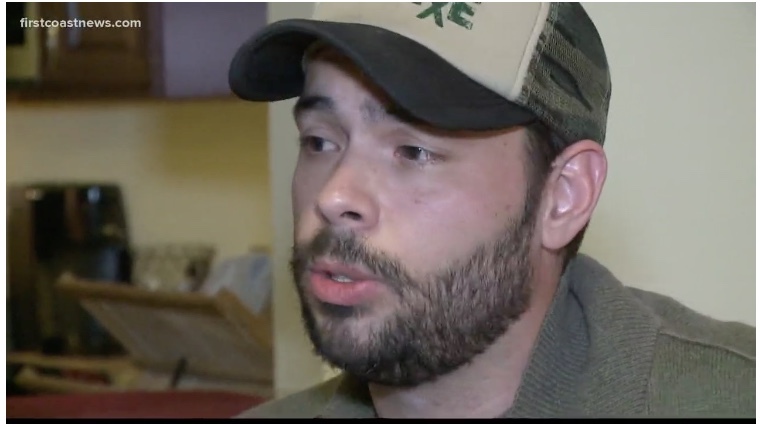 "[PTSD is] a living hell," he said. He said he didn't know how to ask or get help. "You don't know what it is you're trying to reach it for because you can't verbalize it because you don't know what it is," he said.